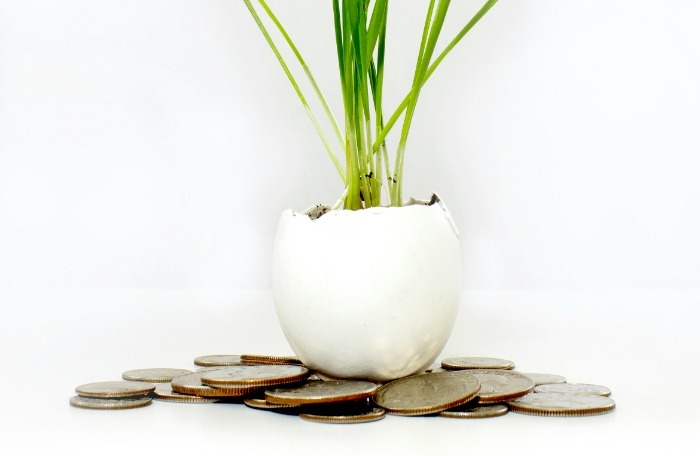 Who doesn't have the goal for more money in 2016? 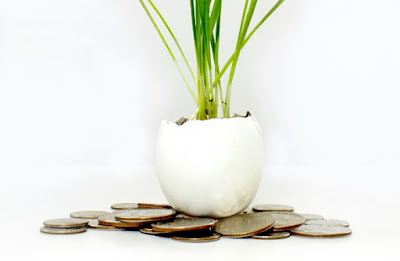 One easy way to do this is to maximize your income by maximizing your blog posts for affiliate sales. 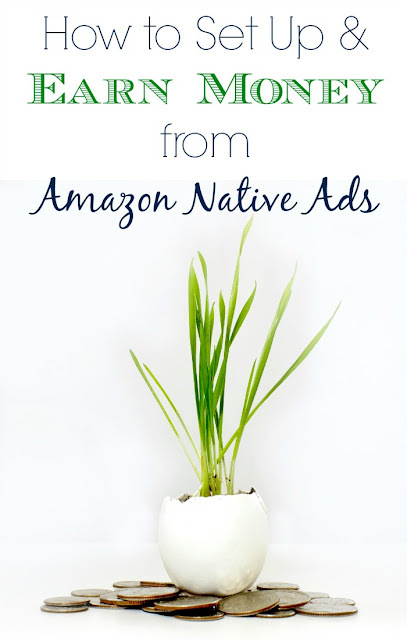 In an effort to always give my readers very relevant items to purchase after reading my stuff, I started playing around with how to set up and make more affiliate income with Amazon's Native Ad generator. I'm very excited by the results! 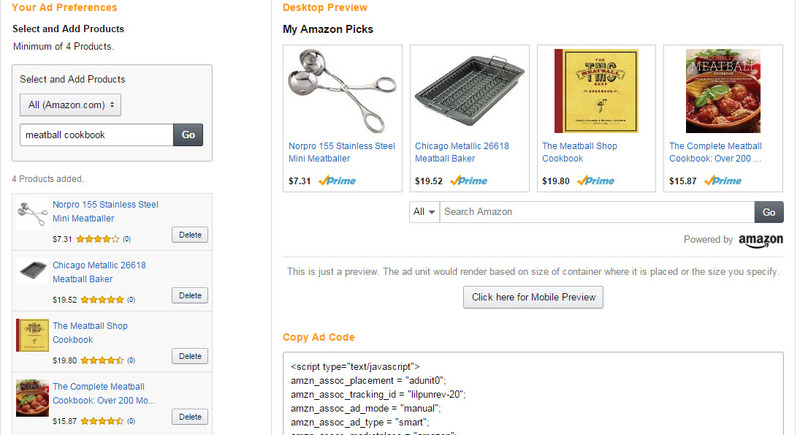 Once in this tab, look for the "Create Ad Code" button. Select "Custom Ads" from the drop down. Now think of ONE keyword that is closely related to your blog post. 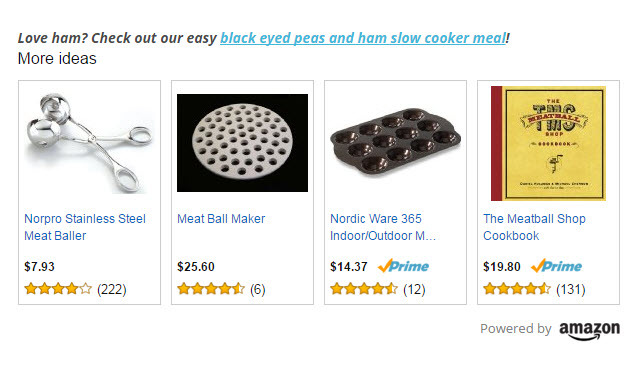 In this example, I used the word "meatball" for a post I did explaining a ham ball recipe. I quickly jotted down all the suggestions I was given in the drop down, including "meatballer", "meatball pan", and "meatball cookbook." Then, I entered each keyword, one by one, into the box, and selected one or two items for each to add to my native ad box. I really try to pick items that are Amazon Prime eligible, although this changes and isn't absolutely necessary. Finally, I used the "Advanced Settings" box at the bottom left corner to turn off the Search Box, keep Responsive Size, and Customize a Title that will appear above the ad box. I chose "More Ideas" in this example. Now you simply pop the code into the HTML editor for your post. (I put mine at the bottom.) It's a great way to get readers to explore shopping ideas, fill up their carts, or complete an order that they had sitting in their cart -- with YOUR affiliate code!